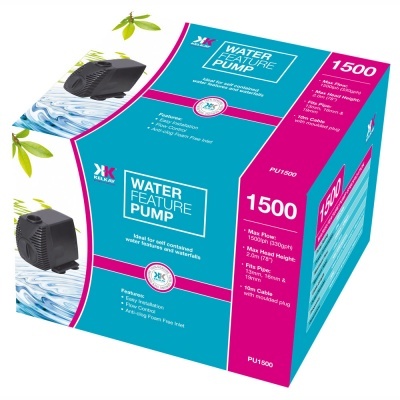 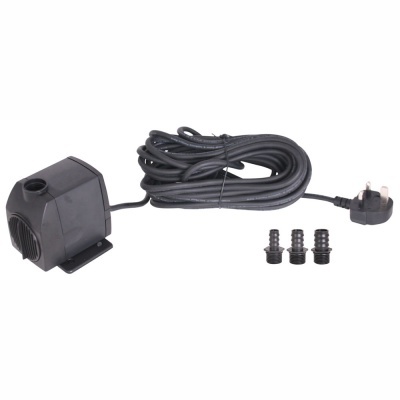 Kelkay Water Feature Pump 1500 (lph) suitable for resin or stone self contained water fountains and features, provides an easy installation outdoor pump with adjustable flow control and anti-clog foam-free inlet. 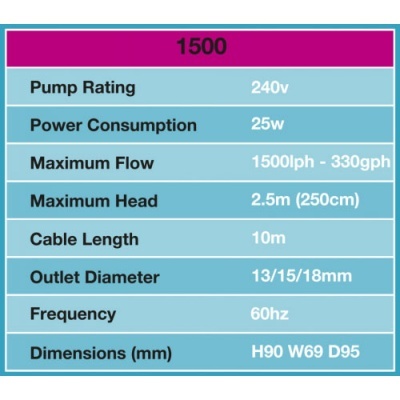 Pump operates at a maximum flow of 1500 litres per hour (330 gph) and a Max Head Height of 2.0 metres. 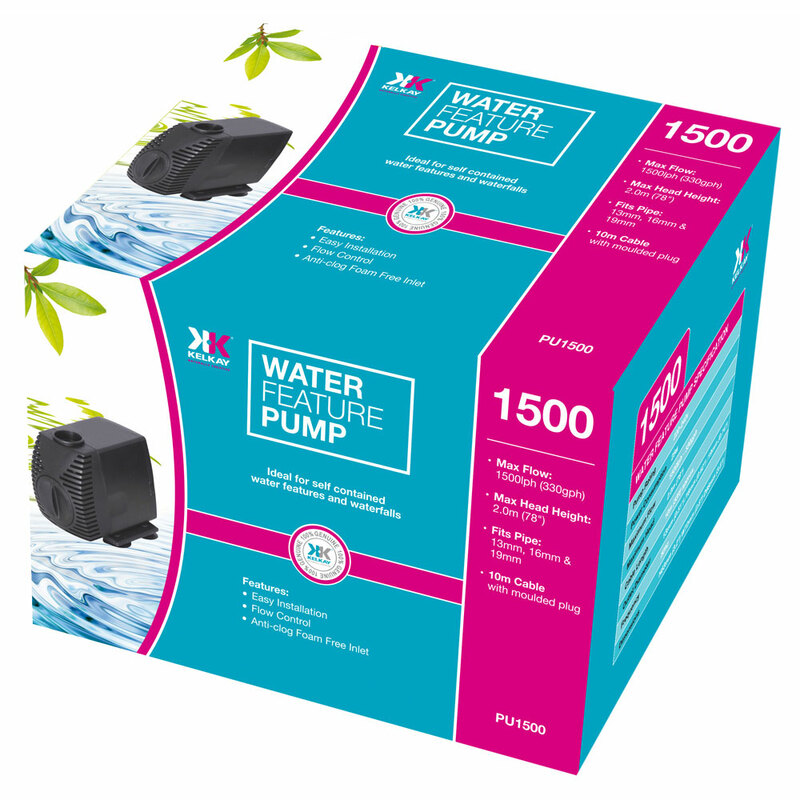 100% genuine Kelkay manufactured Water Feature Pump.